Auckland is built over a narrow neck of land between oceans and the perfect place for adventure lovers as well as students of the English language. Our Auckland school is an accredited NZQA Category 1 school, mainging students that study for more than 14 weeks here can automatically gain the right to work part time in the country. 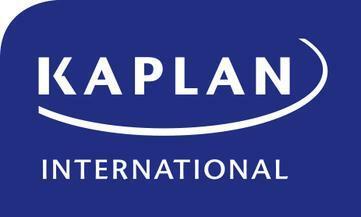 We offer a specific General English program at Kaplan International Auckland, as well as Vacation English and Intensive English. Our General English course is a semi-intensive program which allows you to balance comprehensive classroom tuition with structured study and free time activities. This course is available at all levels from Elementary to Advanced and you will be placed in a class which is suitable for your level. Our flexible English courses improve your general English skills in your own time frame, letting you choose your course duration, your start date, and the intensity level. A Kaplan Intensive English program offers a fast, enjoyable and effective way to improve your English language skills, whatever your current language level. You will have the opportunity to accelerate your progress and personalise your course with Specific Skills lessons and Structured Study. Academic Year or Semester programs - We also offer long-term language programs which allow you to achieve maximum fluency whilst immersing yourself in the language and culture of another country for 5, 6 or 8 months. Our range of program options allows you to tailor your course to suit your academic or career goals. Improve your English skills during a 6 month course and combine your studies with a part-time paid work placement. OPUS Paid Work and Study combines a Kaplan English language course with job placement assistance. Our dedicated OPUS Coordinators will pre-screen students, test their English language level and assess their approach to work to ensure that students are ready and well-suited for work in their chosen location. Students accepted onto the program will benefit from group coaching and individual meeting preparation, application support and assistance with the official requirements to start work.